Tell me where you are going to holiday in Italy and I'll tell you what to eat. Are you thinking about taking a vacation in Senigallia, San Benedetto del Tronto, Gabicce Mare, Loreto, Ascoli Piceno? Sea and mountains, this region, overlooking the Adriatic Sea, offers a variety that combines the flavors of the sea to those who are of the countryside and hills. 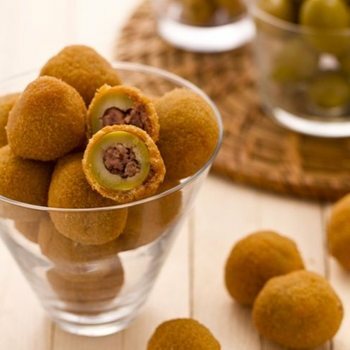 Famous dish in the area of Ascoli Piceno are Olive all'Ascolana. WHAT TO EAT IN MARCHE? The stuffed olives, appreciated and known all over the world, are the most famous dish of Italian culinary tradition of the Marche. 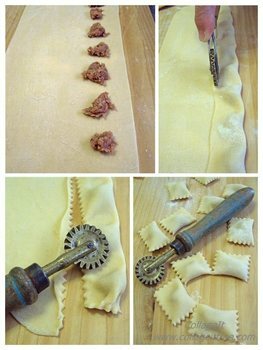 The olives are stuffed with small doses of the meat filling, then they go breaded and dipped in beaten egg with a pinch of salt. 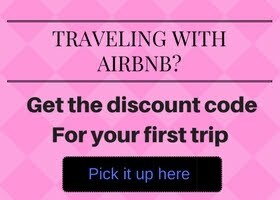 Are you thinking about taking a vacation in Assisi, Orvieto, Gubbio, Perugia? Simple and natural dishes seasoned with the famous extra virgin olive oil one of the best of Italy in these areas. Other typical products are the black truffle from Norcia one of the ingredients of many pasta dishes, and lentils from Castelluccio di Norcia as well as wild boar meat. FRIEND GIFT: A BASKET OF TYPICAL PRODUCTS. 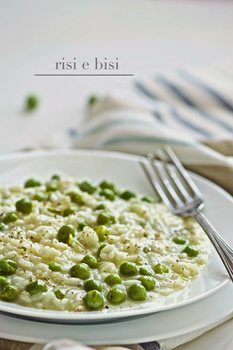 WHAT TO EAT IN UMBRIA? - CARDI AL GRIFO: Cardi al Grifo is dish made from thistles, eggs, breadcrumbs, lean veal, chicken livers, onion, olive oil, white wine, mushrooms, tomatoes and parmesan. 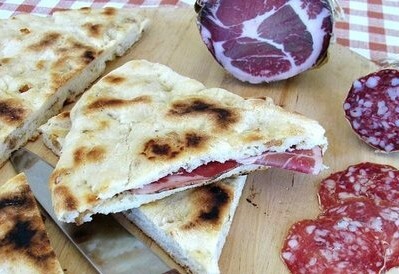 - TORTA AL TESTO (bread and cold cuts). Are you thinking about taking a vacation in Roma, Gaeta, Ostia, Anzio, San Felice Circeo, Cerveteri, Tarquinia? In this region you can find plenty of pasta dishes with all kinds of seasoning such as bucatini amatriciana, spaghetti alla carbonara, bucatini cacio e pepe. Another typical meat dish is the lamb: saltimbocca alla romana and oxtail. 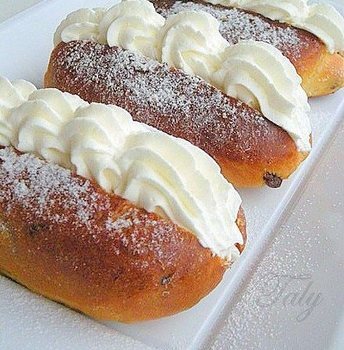 The maritozzi fluffy and delicious sweet rolls stuffed with whipped cream are served for breakfast in every bar in the capital and its surroundings. Often the dough is enriched with pine nuts, raisins and candied orange peel. Are you thinking about taking a vacation in Alba Adriatica, Pineto, Roseto, Pescara? A journey through the flavors of the Adriatic sea of Pescara, vineyards and olive groves of Chieti and Teramo, L'Aquila with its strong mountain flavors. 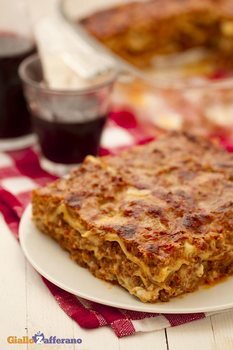 WHAT TO EAT IN ABRUZZO? 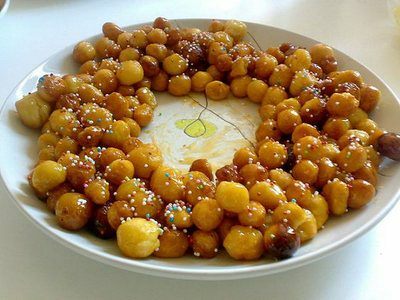 Struffoli abruzzesi (cicerchiata) are small balls of sweet dough, fried and then dipped in honey. 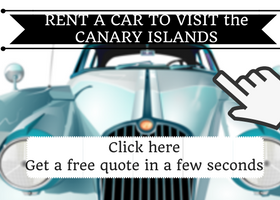 Are you thinking about taking a vacation in Termoli, Campobasso, Isernia? Dishes of pork, and the coast dishes of fish stews, soups and rice. WHAT TO EAT IN MOLISE? The cavatelli are a fresh semolina pasta, typical of the regions of Molise and Puglia. They have an elongated and hollowed shape. 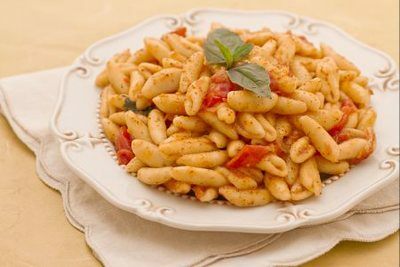 The cavatelli are great topped with tomato sauce and ricotta cheese or with meat sauce or with vegetables. Italian cuisine is creative and imaginative and one of the richest in the world. The climate varies in different regions allows to obtain different products. It is a cuisine rich in tradition with authentic dishes, simple that enhance the natural flavors of the various local products. We make an overview of the various regions of Italy in order to understand better the specialties. 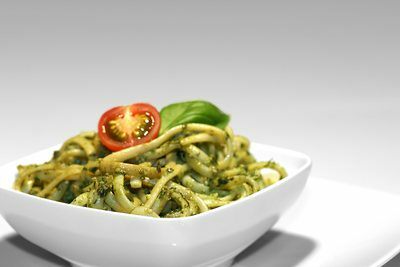 Here you can find dishes based on fish and herbs including the famous pesto that is used as a condiment on pasta or added to vegetable soups. Always present pies with vegetables and various types of buns. One of the most refined cuisines of Italy; stand out dishes based on rice as the "paniscia", the famous Alba truffles, "bagna cauda" typical hot sauce with vegetables dipped bread and anchovies. Famous various boiled meats and delicious chocolates Gianduiotti typical of the area. 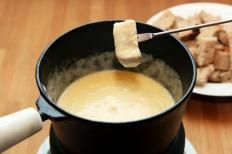 Dishes based on cereals, beef and pork, dairy products including cheese Fontina Val d'Aosta fondue and typical sauce made of various cheeses. Dishes abound in this region based on freshwater fish, especially in the Lombardy lakes area, the milk cheese, the meat with its boiled and stews, rice and corn. Widespread and 'the use of polenta as a side dish to accompany meat with various sauces. One of the many specialities' of this region are the pork tripe, and sausage. In Milan the lively Milano, you can enjoy a good risotto alla Milanese, the tasty schnitzel and under the Christmas period also typical dessert par excellence Panettone. In this region abound dishes with soups of all kinds, for example, the Panada. Very important also cheeses and cold cuts including the famous Speck. 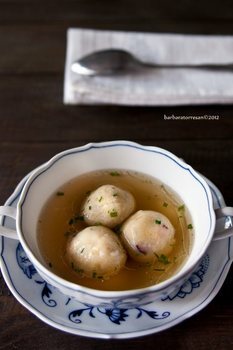 It is a rustic and simple cuisine but offers so many different flavors, from cereals and vegetable soups, vegetables and meats to the cotechini combinations and turnips. 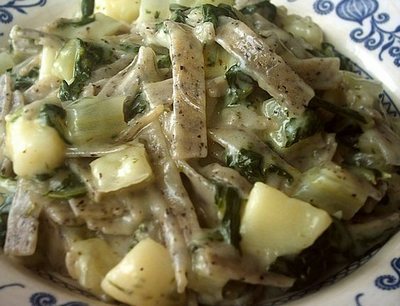 A typical dish is the famous salt cod, especially the one at Vicenza, as well as the Treviso Radicchio that finds various uses in the kitchen. Another typical dish is the Venetian liver. Inevitable here too the polenta that accompanies various meat dishes. Vini veneti: Soave, Valpolicella, Bardolino, Recioto. Rich and tasty dishes based on pasta of various types accompanied by the famous Bolognese sauce made with meat and tomato. The tortellini in broth are another popular dish in these areas. 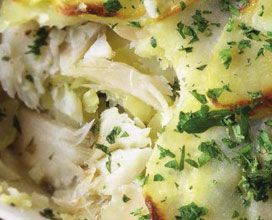 Another speciality is stuffed sweet or savoury flatbread. In coastal areas, various dishes based on fish meals including soup. 3 FOOD TO TASTE IN TUSCANY.